While the Ka’anapali strip is now home to flashier, more luxurious properties all competing to out-do one another, there is something that remains timeless about Ka’anapali Beach Hotel. Proudly known as “Hawaii’s Most Hawaiian Hotel,” KBH really does it’s best to live up to it’s reputation. Employees participate in a cultural awareness program called Po’okela and genuinely seem happy to be there. Many have worked there for decades. There are programs and activities for guests like lei-making, ukulele classes, and more. 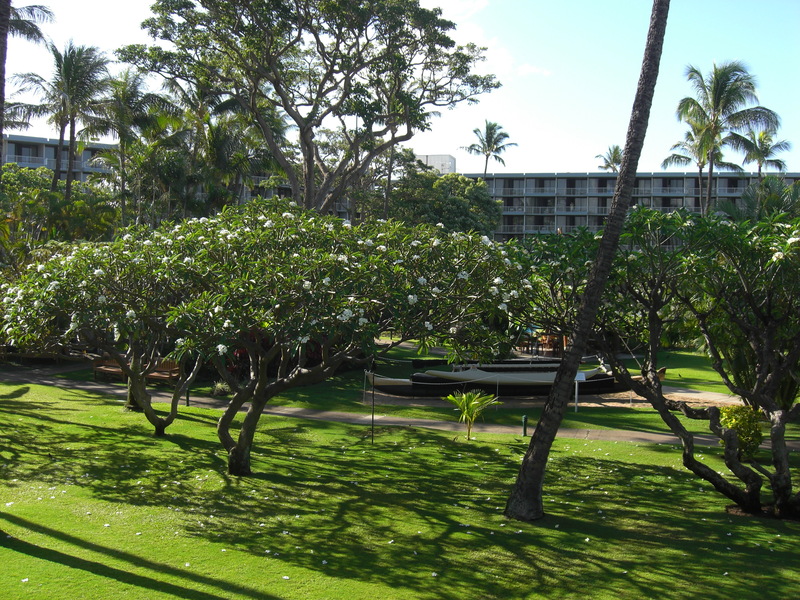 When you walk into the grounds you’ll see beautiful landscaping with plants like taro and plumeria trees throughout. We were lucky enough to be visiting right in the middle of plumeria season – the scent of the flowers in the evening was absolutely heavenly. There are a group of local crafters who set up in the lobby four mornings a week, and for years my mother was one of them. 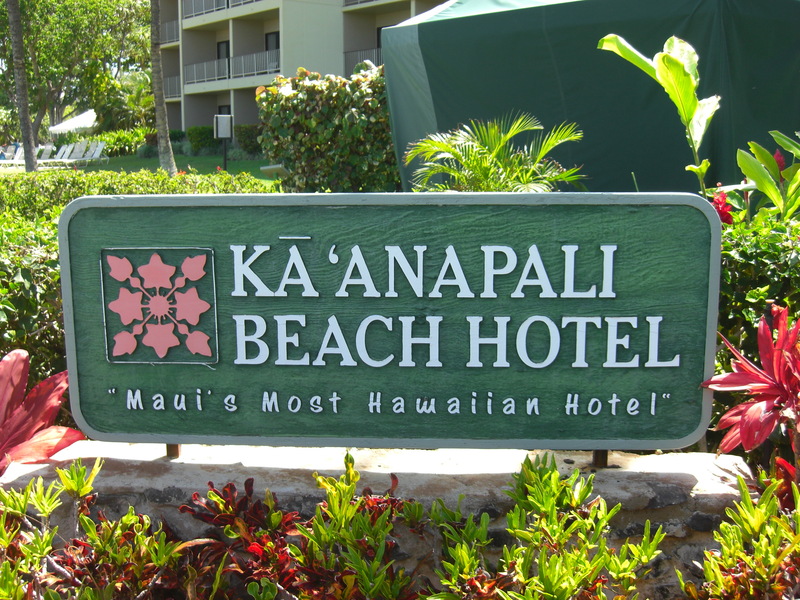 So for Mother’s Day this year we thought it would be fitting to take advantage of the Kama’aina Discount and to book a stay at Ka’anapali Beach Hotel. Beverly, who took my reservation, not only remembered my mom but made sure that I would tell her that she and her family (who also work there) said hello. Yes, it’s that kind of place. The aloha spirit is alive and well! Although some of the rooms are a little older than others, we preferred the three-story Moloka’i wing over the newer Kaua’i wing that we were first assigned upon check-in. With fewer rooms, there was less foot traffic outside and we had a charming view that looked out over the central courtyard with the ocean and beach just on the horizon. 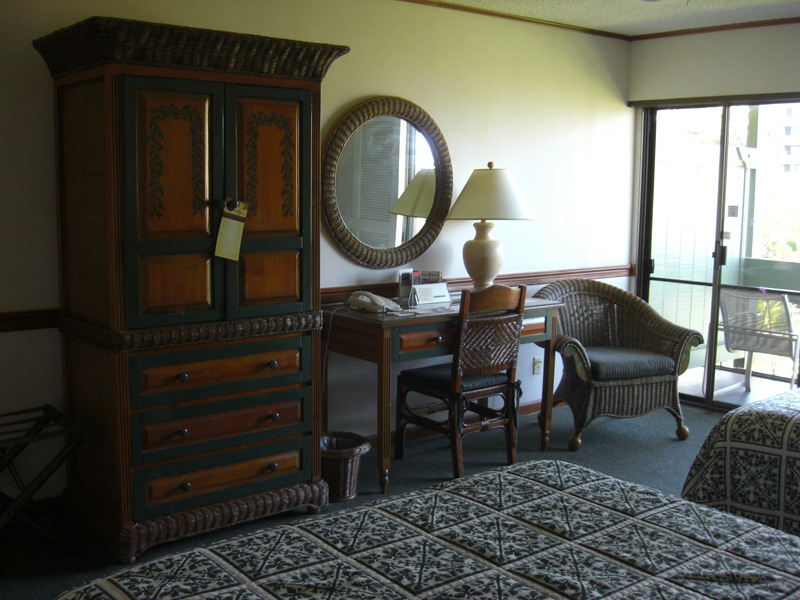 The furnishings in the rooms are thoughtfully chosen – with dark woods and Hawaiian quilts on the beds. We loved that we could leave the door open to our lanai and hear the live music drifting in. Mother’s Day weekend is a huge affair at the hotel, with a large champagne brunch, fashion shows, and entertainment taking over the courtyard and restaurant area. 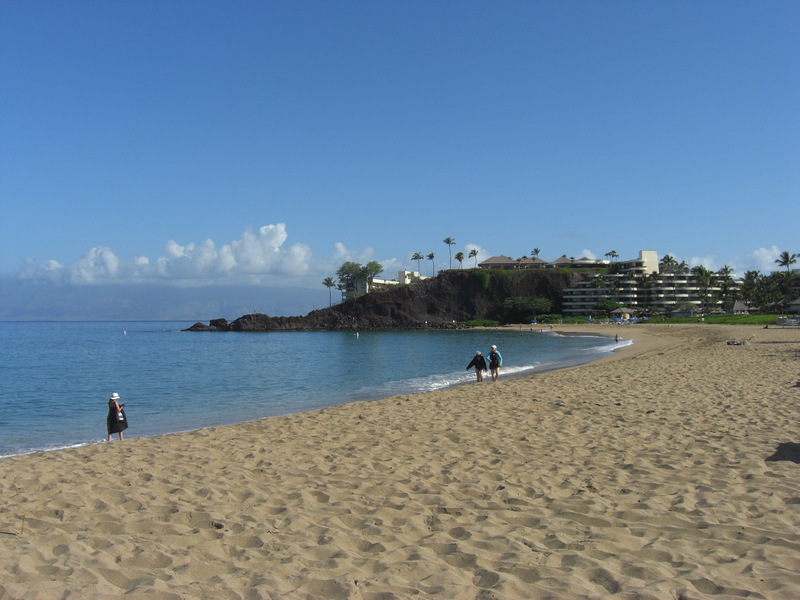 It is recommended to book in advance for holiday weekends as Ka’anapali Beach hotel is quite popular with locals due to the great kama’aina rates. Kama’aina discounts start at $119/night, call for current availability. 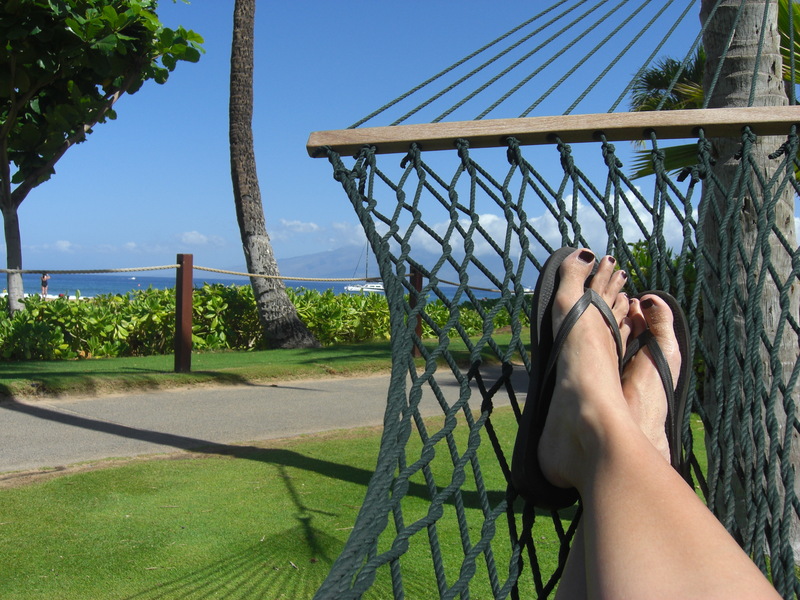 >> Looking for hotel or other Kama’aina deals? Visit our Kama’aina Travel Deals page. >> For the most recent posts on specific kama’aina deals, click here. >> For more on MAUI, click here.